Benefits – Creative Landscape Borders Inc. Imagine making more time on the weekend for your family, hobbies or whatever your interest may be! Not only do our borders isolate trouble areas of gravel or bark, they can create a wonderful frame for a future flower bed. With six styles to choose from, your sure to find one that matches your personality and landscaping. Without a border, grass has as tendency to grow wild and out of control. Year after year you may have to dig away these stubborn areas. With a border from Creative Landscape Borders, these problems disappear. 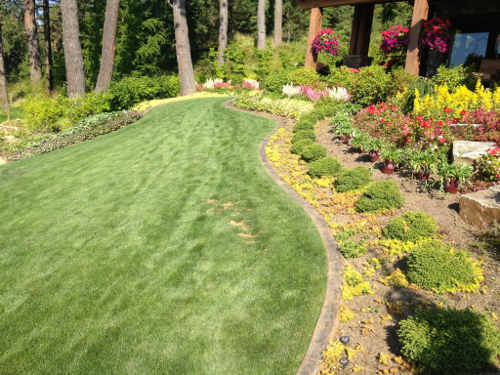 These borders also act as a great barrier for gravel or bark that can get into your lawn. Our borders are a great way to compliment your existing landscape. You can select a standard concrete texture or pick from our many color choices. 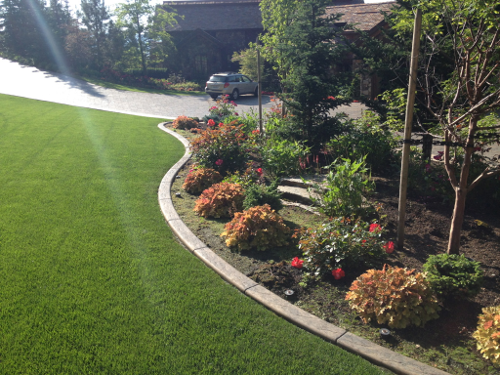 Our skilled team can outline a flower beds or create a decorative outline to your favorite trees. All you need is your imagination and leave the rest to us. Do you have long or intricate sidewalks and driveways on your property? No problem. We will meticulously follow the contour of your existing concrete work to add that extra creative touch. 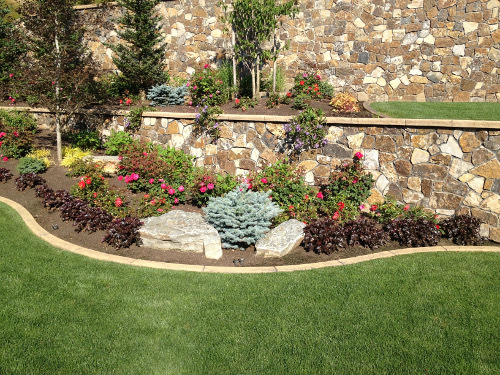 Aside from adding refinement to your property, our borders are also functional. 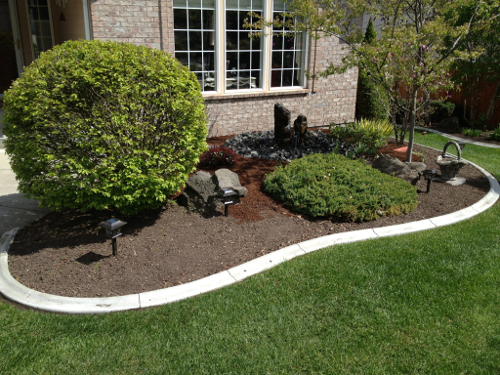 Two of our styles can be utilized as a parking curb to prevent accidental lawn or property damage. Ever hit the side of a raise concrete sidewalk with your lawn mower? Well, two unique styles that we offer help prevent this potentially dangerous incident from occurring again. 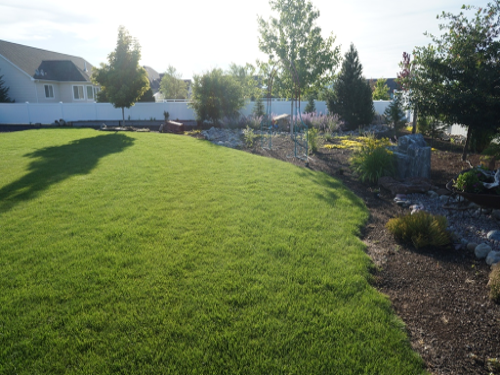 If you have a special circumstance that has you puzzled, contact us and we will provide you with a solution to your landscape problem quickly. Our borders will not rot like wood or break like plastic, and they do not have to be redone. The professional appearance that these borders provide will enhance the appeal and value of your commercial or residential property for years to come.